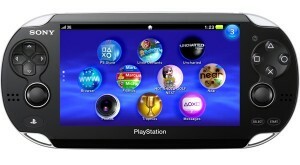 Sony’s next PSP : NGP ! | It-11 Audio / Tonegeek"
← HTC Facebook Phone ? Sony’s next PSP : NGP ! Hi guyz ! Sony has just announced its next portable PlayStation ! It’s codename is NGP and will involve five key concepts: Real and Augmented reality, Revolutionary User Interface, Location-based Entertainment and Social Networking. The NGP will be compatible with the PlayStations and with downloadable PSP games, in fact eveything in Sony’s PlayStation Store. Specs are : a quad-core ARM Cortex-A9 processor, touchscreen OLED 5-inches display (960 x 544 resolution), dual analog sticks, wireless (3G, WiFi), GPS, a touchpad, an accelerometer / gyroscope motion sensing (same as in the PlayStation Move), an electronic compass, and also cameras on the front and back. This entry was posted in What's up, doc ? and tagged ngp, psp, sony. Bookmark the permalink.